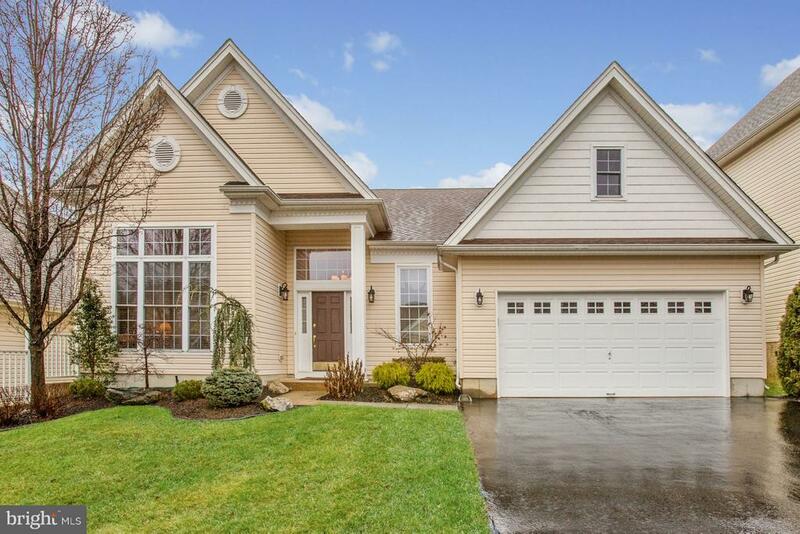 All Monroe Township homes currently listed for sale in Monroe Township as of 04/22/2019 are shown below. You can change the search criteria at any time by pressing the 'Change Search' button below. 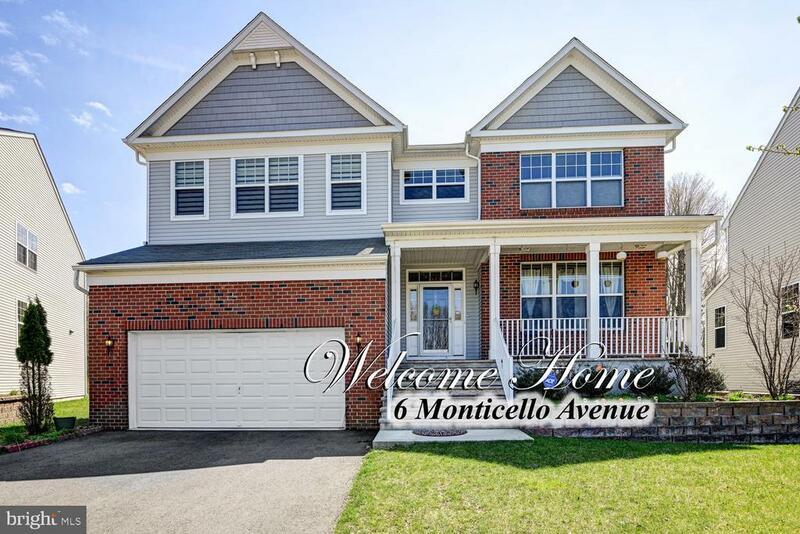 If you have any questions or you would like more information about any Monroe Township homes for sale or other Monroe Township real estate, please contact us and one of our knowledgeable Monroe Township REALTORS® would be pleased to assist you. "Stunning 5 bedroom, 5.5 bath home that has been tastefully updated & incredibly maintained. 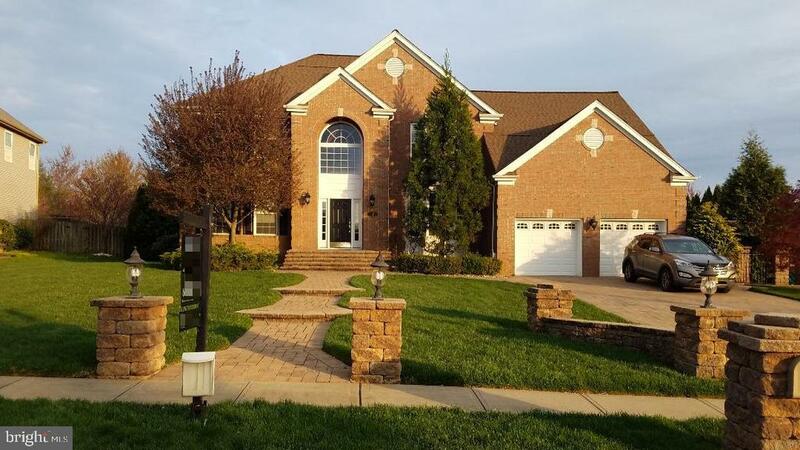 Features a 3- car garage & circular brick paver driveway to fit more then just a few cars. Beautiful marble flooring & picture moldings in the foyer. Gleaming wood floors in the dining room, living room, family room, & study. Ceiling fans in the living room, family room, conservatory, study & in all the bedrooms except the master suite. 2-story family room with recessed lighting, picture molding, & a fire place with a tile surround, hearth & custom wood mantle. The kitchen features shiny marble flooring, recessed lights, 3 custom pendant lights over the granite island & breakfast bar, granite countertops with a tile back splash, all stainless-steel appliances including a built-in microwave & a breakfast area. Enjoy the bright & an airy conservatory with loads of windows, custom blinds, recessed lighting & custom ceramic flooring. To conclude the main level is a powder room with ceramic tile flooring & a vanity with a granite. The second level has 5 bedrooms with wood flooring & 4 full baths including the master bed & bath which features marble flooring, jacuzzi, stall shower, recessed lighting, & a double sink vanity with granite counter tops. The walk out basement is fully finished with wood flooring, lots of recessed lights, & a full bath with an extra-large stall shower, tile flooring, & a vanity with a granite countertop. The back yard is fenced and has an exquisite marble patio overlooking a park like and wooded surround. This is a truly gorgeous home and is conveniently located near schools, restaurants, and more! A must-see home!" 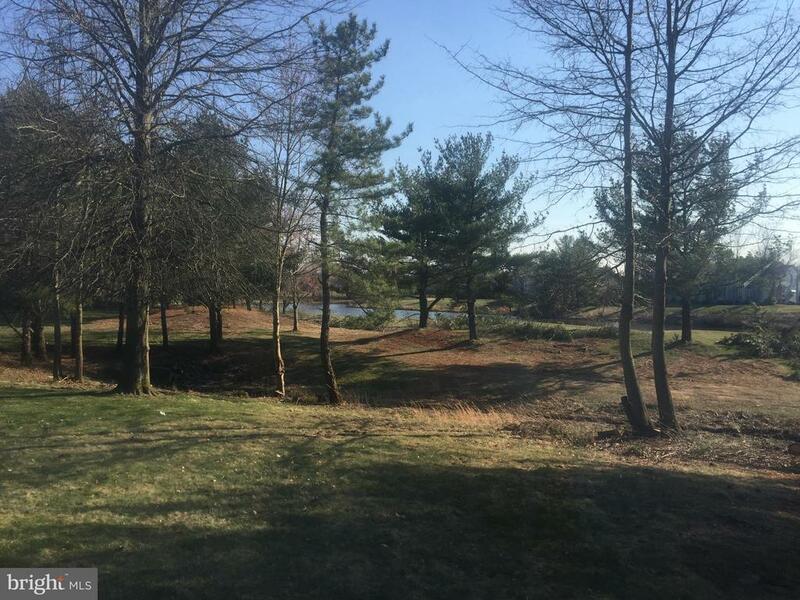 "In the sought-after development of Southfield (with zero HOA fees and comparatively low taxes), this well-maintained East Facing expanded Driftwood offers plenty of up-to-date amenities one seeks in new construction without all the fuss! With a main floor office/bedroom and full bath, 3-car garage and an expansive full basement. (Square footage is approx. 4,000 as this has the 5th bedroom and 3-car garage option)Hardwood floors welcome you into soaring 2-story foyer & continue through the formal dining room and spacious eat-in gourmet kitchen with; granite counter tops complemented by a tumbled stone backsplash, lots of wood cabinetry, stainless steel appliance package and center island with bar seating. Hardwood continues down a hallway that offers a double-door closet or pantry, laundry area, full bath and private office that can easily serve as a downstairs bedroom. The upper level provides 5 well-sized bedrooms including the expansive Master with his and her equal sized walk-in closets and spa-like master bathroom with granite topped vanity. Relax outside on the paver patio with sizable yard beyond. A 9-zone sprinkler system will keep front, side and backyards nice and green. 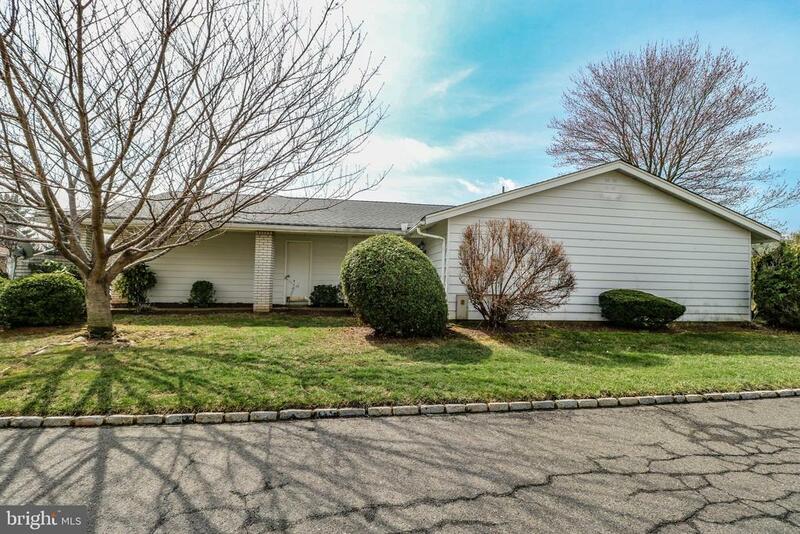 Close to NJ Turnpike Exit 8A & Route 130 Park and Ride and easy ride to all the conveniences off the Route 130 corridor. Excellent Monroe Township school system." "NEW CONSTRUCTION. FIRST TO BE BUILT. 5 BEDROOMS WITH GUEST SUITE ON FIRST FLOOR. HUGH 2 STORY FAMILY ROOM. LARGE EAT-IN KITCHEN, FORMAL DINING ROOM. 1ST OF 7 NEW HOMES ON NEW SUBDIVISION RIGHT OFF BUCKELEW AVE IN MONROE NEXT TO BARCLAY BROOK SCHOOL. PRECONSTRUCTION INCENTIVES AVAILABLE. ALL HOMES ON 1/2 ACRE LOTS IN CUL-DE-SAC." "You do not have to wait for a new construction. 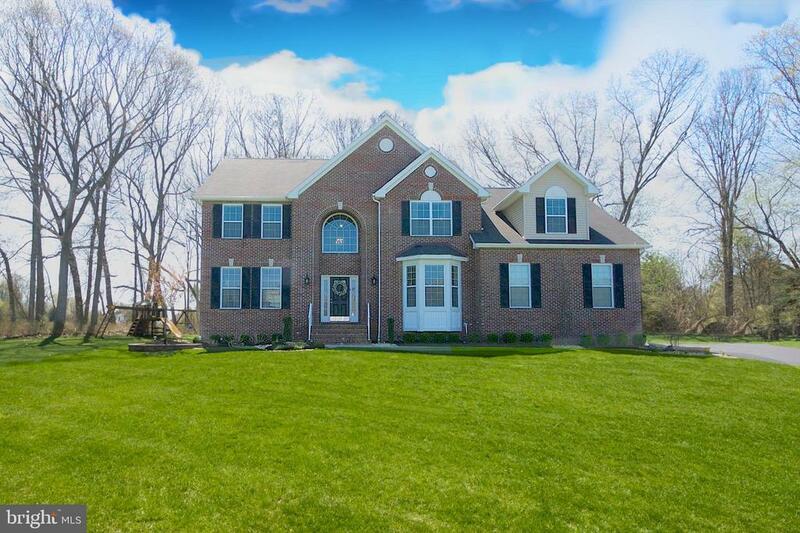 You can own this 4 years impeccably maintained one of the largest Covington model with over 58 K upgrades located on a premium lot backing woods. It offers all the upgrades you can expect in a new construction without all the extra cost. 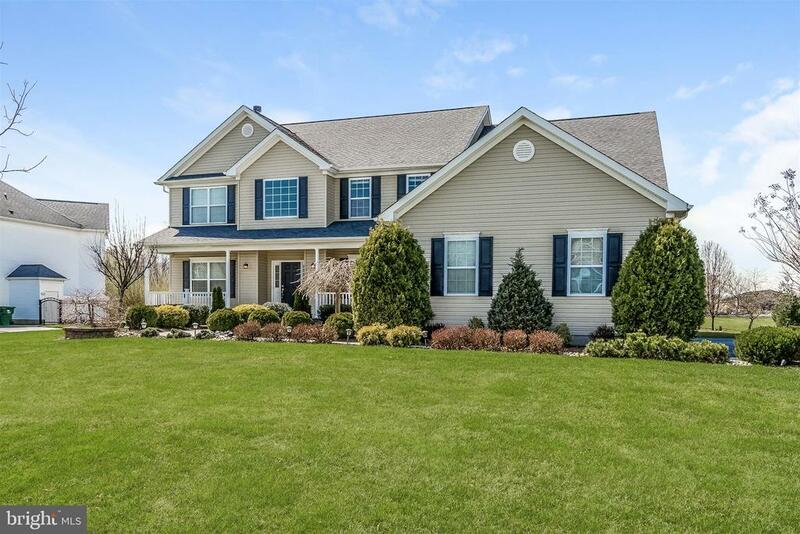 Enter through a two story foyer to an open floorplan, spacious living room with hardwood floors and recessed lights open to a formal dining room which also has hardwood floors and upgraded light fixture. A large two story family room with hardwood floors, gas fire place and recessed lighting and opens to kitchen. Very spacious kitchen offers 42~ Cabinetry, Granite Counter tops, Glass Back splash, Center Island, upgraded stainless steel appliances package that includes two wall ovens and a microwave oven. This home also offers a bedroom with a full bath on the main floor. Upstairs has 3 bedrooms including a spacious loft with potential for 5th bedroom. Expansive master bedroom with recessed lights, custom California walk-in Closet. Master bath with dual sinks, Granite Counter tops, Jacuzzi tub and a large shower. Hall bath with dual sinks, Granite Counter tops and upgraded tiles. Full finished day light basement offers a home theater, wet bar and a half bath. Freshly painted, custom blinds and window treatments throughout. Other features include sprinkler system and a security system. Conveniently located near Rt-130 & NYC bus lines. HOA includes snow removal on driveways and side-walks, lawn care, clubhouse, pool and Tennis courts." 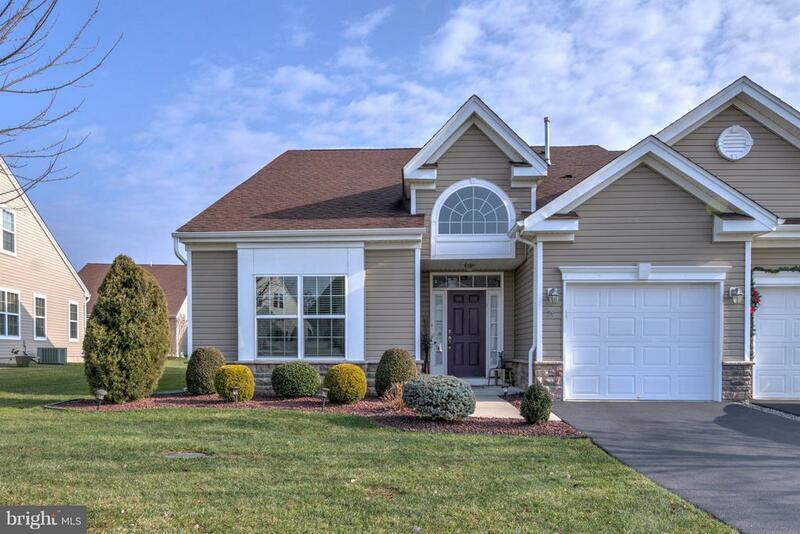 "Beautiful pristine home on a private cul-de-sac looks just like a model home! North East facing front door featuring a gourmet kitchen with honed granite and marble counters, oversized center island, marble subway backsplash, an abundance of 42 cabinets, huge walk-in pantry, stainless steel appliances. Vaulted ceiling family room features a magnificent stone gas fireplace, library/playroom or make it a 5th bedroom on the first floor. Gorgeous hardwood floors on the entire first level and 3 full baths upstairs with Jack and Jill en-suites. Fantastic backyard for entertaining with a $50,000 paver patio with a firepit, and built-in Weber gas grill and refrigerator outdoor kitchen! Convenient to transportation to Manhattan and the NJ Turnpike." "PRIVATE CUL DE SAC*CLOSE TO EVERYTHING*SELLER HAS TAKEN IMPECCABLE CARE OF THIS BEAUTIFUL HOME! 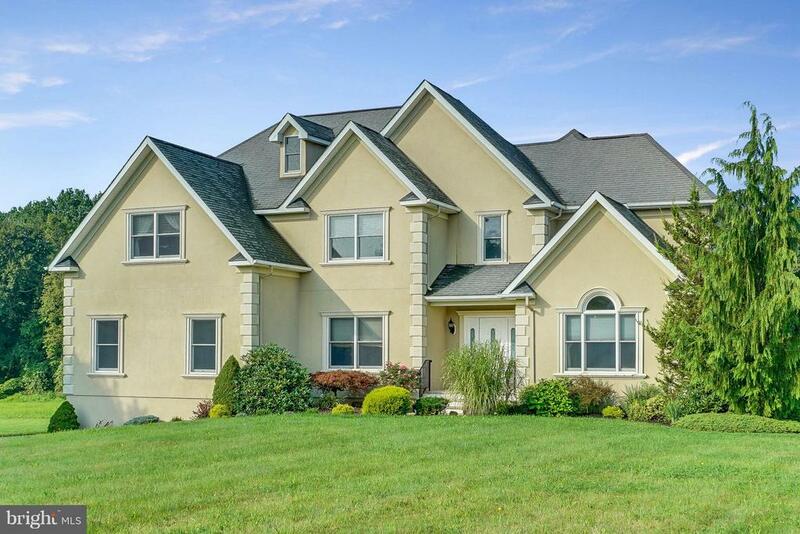 PAVERS LEAD YOU TO GORGEOUS DOUBLE ENRTY DOORS/OPEN FOYER W/PORCELAIN TILE & CUSTOM IRON RAIL STAIRCASE*RADIANT HEAT 1ST FLOOR*DINING ROOM PERFECT FOR ENTERTAINING LARGE PARTIES. KITCHEN WITH GRANITE *TUMBLED MARBLE BACKSPLASH* APPLIANCES 1year*CONVECTION STOVE W/OUTSIDE EXHAUST*MAPLE CABINETS*LARGE DINING ARE LEADS TO AZEC WORRY FREE DECKW/GAZEBO OVERLOOKS GORGEOUS YARD WITH LUSH LANDSCAPING*STEP DOWN FR W/10FT CEILING*MASTER SUITE*CUSTOM SHELVING IN WIC*3 MORE AMPLE BEDROOMS COMPLETES 2ND FLOOR*FINISHED BASEMENT W/SLIDERS AT GROUND LEVEL*COULD BE MULTI_GENRATIONAL*9 ZONE BB HEAT/2 ZONE CENTRAL A/C"
"CUSTOM BUILT ENERGY STAR HOME/NORTHEAST FACING/HIGH END EVERYTHING/CUSTOM WOODWORK/MOLDINGS/HARDWOOD FLOORS/STEP DOWN LIVING ROOMW/RAISED CEILING/2 STAIRCASES/SOARING 2 STORY FAMILY ROOM W/WOOD BURNING STOVE LEADING TO KITCHEN W/CUSTOM MAPLE 42 IN CABINETS,GRANITE,ISLAND,BUTLERS PANTRY/SS BACKSPLASH & APPLIANCES/SLIDER TORmrks 2:"
"Located on a cul-de-sac street, this stunning, sun-bathed, 4 bedroom home in Sunrise Acres will not disappoint! Dramatic two story entry with palladium window, decorative, wall and crown moldings, tile flooring, dual closets and an impressive cascading hardwood staircase. Formal living & dining rooms both have overhead lighting, decorative moldings, custom window treatments, and wall-to-wall carpet. The dining room is also enhanced by a lovely bay window. The eat-in kitchen is a cook's delight with 42 solid wood cabinets, granite counters, ceramic floor, double stainless sink, glass tile back splash, recessed lighting, Thermador range & dishwasher, Kobe exhaust, prep island with pendant lights, Samsung Chef's Collection SS fridge and light-filled breakfast area that looks out to the rear yard. You'll be wowed by the exceptional great room with it's floor-to-ceiling windows with custom drapes and roller shades, decorative moldings, and gas fireplace and custom surround. First floor office/study/den with shadow-box and crown molding and large bay window; half bath and full laundry room with access to garage. The 750 sq. ft. master retreat boasts vaulted ceiling, balcony/overlook to family room, two walk-in closets, sitting area and sumptuous en-suite bath complete with dual sink vanity, soaking tub and stall shower. Three additional good-sized bedrooms, full bath, and pull-down attic access complete the upper level of this fine residence. The full basement has epoxy floor and allows for loads of finishing possibilities! Not to be missed is the exceptional, extensive 1800 sq. ft. paver patio that can accommodate the largest of gatherings! 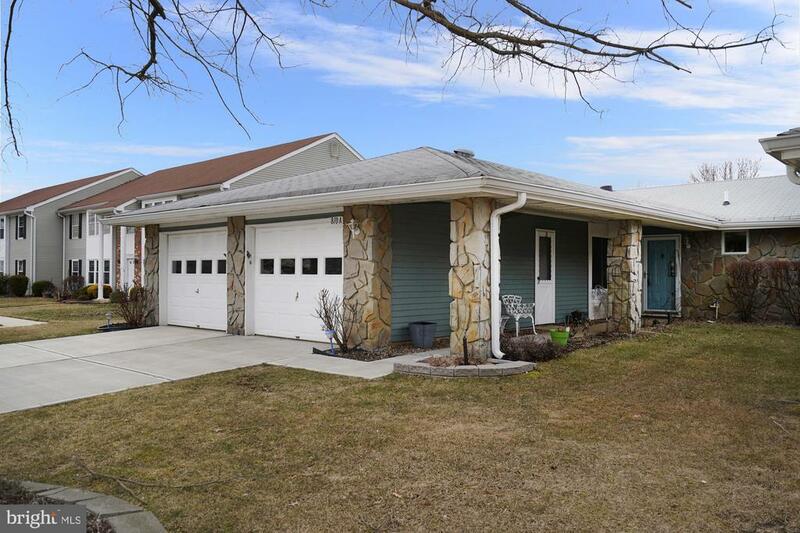 Two car oversized garage with epoxy floor, professionally landscaped grounds and in- bed lighting, fully fenced rear yard, alarm system, and more! A true Gem!" "Stunning 4 bedroom, 2.5 bath Chesterfield Model home located in the highly sought after community The Highlands. Features a fabulous resort like back yard with a full outdoor patio bbq kitchen; heated inground pool with 3 year old liner & a basketball court. First floor has Brazilian hardwood flooring throughout except the kitchen. A large eat in kitchen with ceramic tile flooring; cherry cabinets with under cabinet lighting; stainless steel appliances including a double Sub Zero fridge & freezer; Thermador stove vented to the outside. Gorgeous 2 story family room with recessed lighting & chair rail moldings. Living & dining room have crown & chair moldings throughout. Upper level has 3 well appointed bedrooms & a master suite with sitting room; high ceilings; 2 walk in closets; full bath with a soaking tub & double sink. New roof with a 50 year transferable warranty; Garage with extra shelving; tankless water heater; brick paver driveway & patio; portable gas generator is included; Professional landscaping; 200K in upgrades! Conveniently located near schools, shopping, major highways & more!" "North-East Facing. 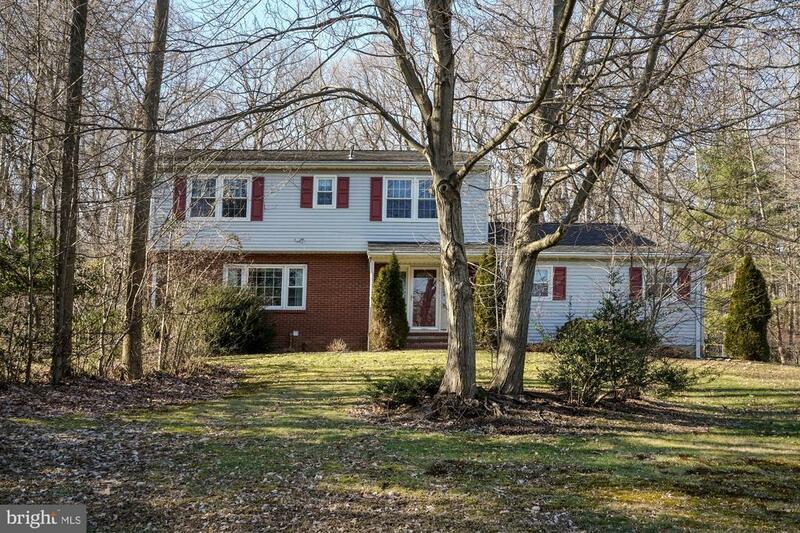 This gorgeous, bright and airy center hall colonial home features a park-like backyard and borders a farm. shows like a model. 4 large bedrooms office, 2.5 baths, grand 2 storey entry foyer, 9 ft ceilings on first floor with decorative molding. Kitchen has brand new ? ss appliances, granite counter top with a center island, breakfast bar, 42 custom cabinets and eat in area that leads to large stone deck for summer entertaining. Formal living leads to an office/den that overlooks the adjacent farm. Fam-room has a stately fireplace. master bedroom features double door entry, walk-in-closet, dual vanity sinks, linen closet, oversized soaking tub and shower. 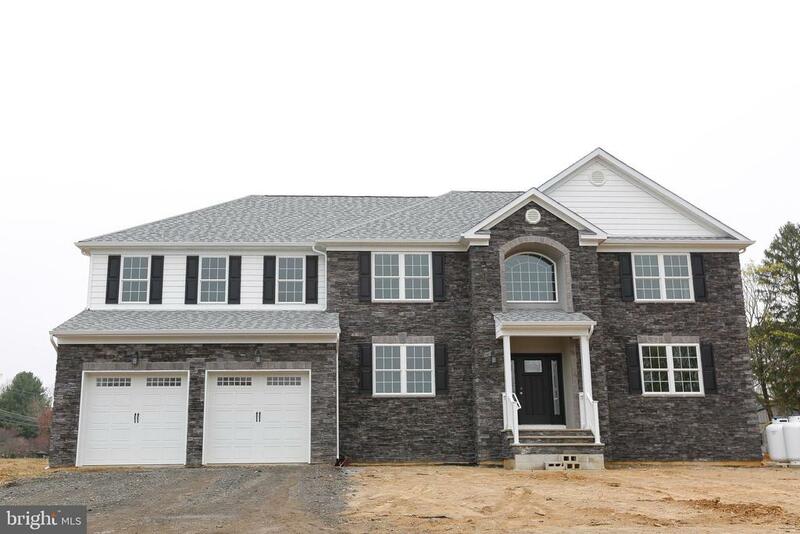 Gleaming hardwood floors, custom blinds, 3 door garage with plenty of additional storage, multi zone hvac, insulated high ceiling basement, ready to finish. Professionally landscaped. Close to shopping & NYC transportation! Estate living at its best." "Shows like a model! This meticulously maintained home located in the premier 55+ community of Stonebridge is just waiting for you to move in! Entrance opens to high ceilings and a lovely formal dining room. Gorgeous hardwood floors lead to a large DREAM kitchen with tons of cabinet space, granite counter tops, center island, stainless steel appliances & tile backsplash. Kitchen extends beautifully into the spacious and relaxing family room with gas fireplace, surround sound, and cathedral ceilings. Sliding doors off the family room open to a beautiful covered patio in the back equipped with a gas line to enjoy BBQing outside. Master bedroom is well sized with tray ceilings, room darkening blinds, a walk in closet, and double doors leading to the master bathroom. The dual shower head and bench in the frameless shower will make you feel like you~re at a spa! As if that is not enough, the second bathroom off the second bedroom downstairs comes with a jacuzzi. Upstairs offers a large loft, full bathroom and third bedroom with utility closet and attic for storage. At over 2600 sq ft, this 3 bedroom 3 bathroom home has so much to offer, not to mention the amazing amenities in this luxury gated community such as clubhouse, indoor and outdoor pools, tennis, bocce, classes, and so much more! Call today!" 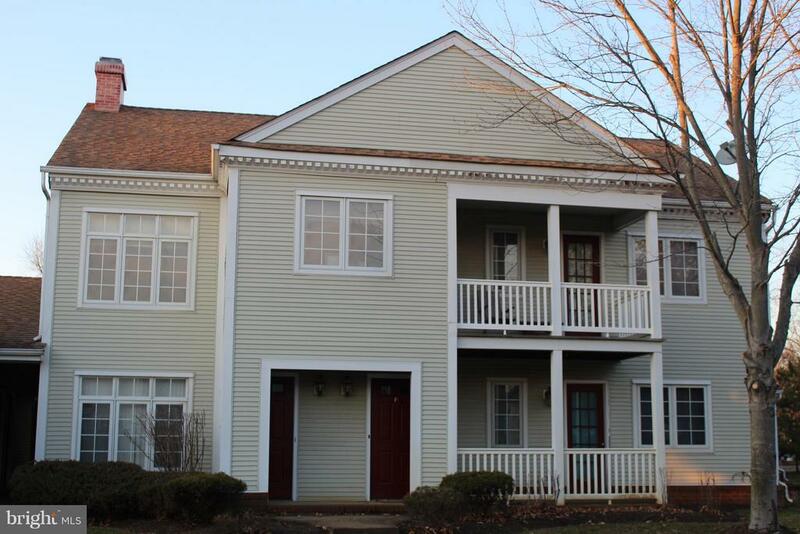 "Newly updated Doral in Eastview On The Banks at Forsgate Country Club. Brand new flooring and freshly painted Make this ready to move into. The magnificent gardens & landscaping with stone walls ,patio awning,lanterns create a sanctuary for you & your guests. Good taste prevails. Custom features include: Wall between Family Room & Den removed, UV Film-Family Rm windows,2 control stations in Security system, split A/C system, Upgraded thermostats, smoke detectors, water heater, stove, sink disposal,upgraded tile in foyer, kitchen, & master bath, exhaust attic fan, wall w/cabinets(installed between kitchen & family room), crown moldings, additional cabinets in master bath & upgraded faucets. Upgrade list available upon request." "SMALL CONCLAVE OF CUSTOM HOMES IN HEART OF MONROE. 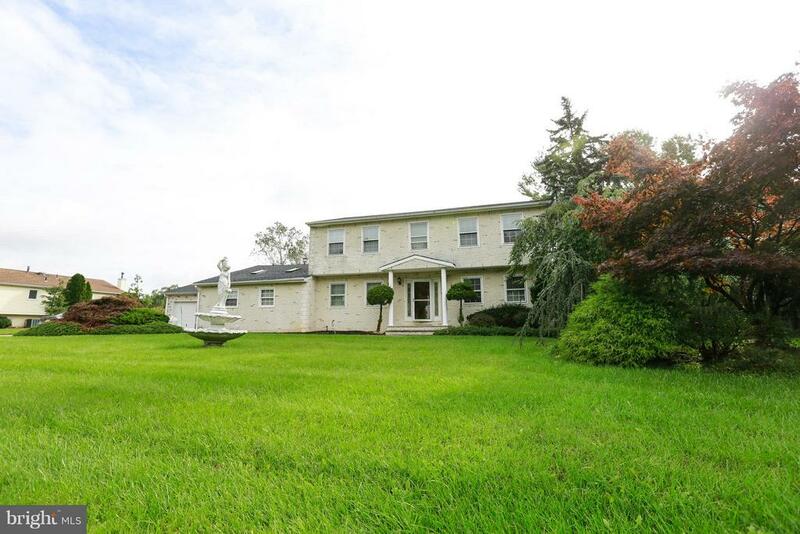 THIS CUSTOM COLONIAL HAS OVERSIZED BACK YARD WITH IN GROUND POOL AND DECK. INSIDE YOU HAVE A HUGE FAMILY ROOM OFF THE FULL EAT IN KITCHEN WITH UPGRADED APPLIANCES AND GRANITE COUNTERS. MARBLE FLOORING ON MAIN FLOOR AND FAMILY ROOM. FORMAL DINING ROOM AND LIVING ROOM. 4 BEDROOMS WITH LARGE MASTER BATHROOM AND WALK IN CLOSETS. 2.5 BATHS. CEILING FANS AND CARPETING IN BEDROOMS. FULLY FINISHED BASEMENT. TOO MANY CUSTOM UPGRADES TO MENTION. THIS IS A MUST SEE HOME." "Nestled away in the private community of Camelot--centrally located in Monroe--this picture perfect colonial has it all! Relax in your rocking chair on a mild Spring morning with your coffee or hot Summer day with a cold glass of iced tea from the comfort of the covered the porch! Greet your guests in the spacious foyer which opens up to the formal living room and dining room featuring hardwood floors! Updated eat in kitchen with a double oven range, stainless steel appliances, separate dining area with picturesque views of the wooded backyard, and spacious pantry! The family roomboasts built-in cabinets, updated fireplace surround, woodburning FP & sliders to the backyard! Upstairs you will find four spacious bedrooms all w/ceiling fans including the master ensuite with a full bath! From the flagstone walkway to the fenced-in in-ground pool it is the perfect place to spend your summers with family and friends!" "A beautiful Bayhill Ranch located on a cul-de-sac close to the magnificent clubhouse and all amenities. 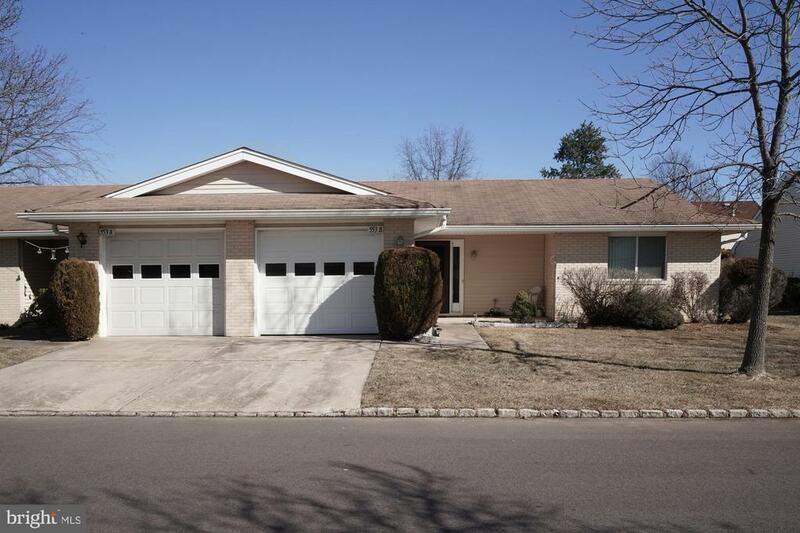 Turn-key condition, hardwood flooring, breakfast room and great room, and recently painted. Enjoy swimming, tennis and golf all summer! This gorgeous home is all ready to move in and ready for you to enjoy the great activities in the luxurious Regency community!" 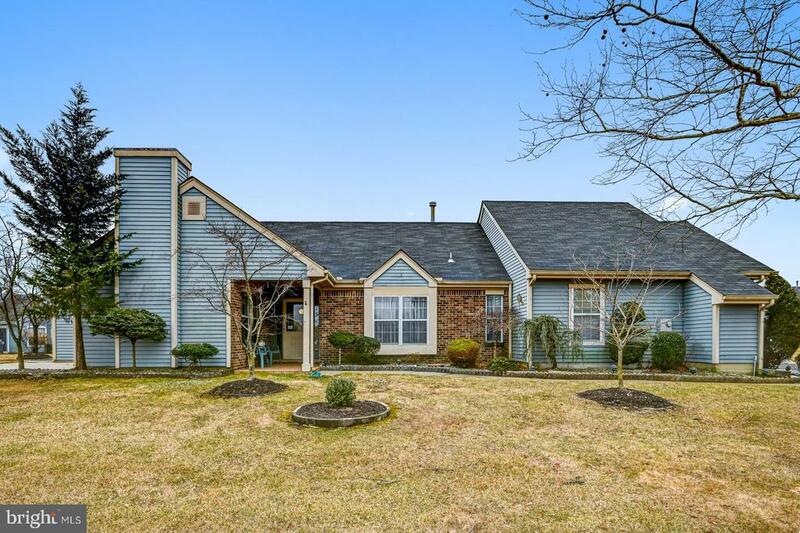 "METICULOUSLY MAINTAINED, SOUGHT AFTER CONCORD 11 in Stonebridge Adult Community*Custom blinds and shades*Fans in LR & BRs*California closets in master bedroom*Master bath with shower and large soaking tub. Extra recessed lights in LR*Granite counters*Large breakfast bar with pendant lights *Recessed lights in MBR*Painted in contemporary colors*Great exposure with afternoon shade on patio *41000 SF clubhouse,indoor and outdoor pools, hot tub, sauna,grand ballroom, theater,library,game rooms,pool room and tennis courts*loads of activities for all interests*Seller can be flexible with closing date*These units go quickly. Sq Ft as per tax record." "Lovingly maintained by the original owner this unit is conveniently located across from the clubhouse. One of the few units to have GAS heat and cooking! Enter into the spacious foyer which is surrounded by wood and laminate flooring. The kitchen was modified to have an abundance of extra cabinets, corian countertops and includes a stainless refrigerator. The huge master bedroom has vaulted ceilings and a private bath with plenty of closet space. The large den was divided to make an office/den combination room. Relax outside on your patio surrounded by lush landscaping. There's additional storage in the attic which is completely lined with floor boards. A large side entry 2 car garage holds an additional freezer and more storage closets. You can bring everything with you to this home!" "Beautifully kept Williamsburg model home in sought after Rossmoor community. This is one of the largest homes available in Rossmoor and is located on a quiet tree-lined street. This 2 BR 2 1/2 bath home has a large two car garage, laundry/mud room, hardwood floors throughout the beautiful LR and DR.This home includes two central air-conditioning units (one replaced 6 months ago), and new high efficiency Pella windows. The bright sunroom is air conditioned, what a beautiful space to relax and entertain." "Pride of ownership shows in this Masterlodge 2! Hardwood flooring/recessed lights/ceiling fans/newer thermostats/eat in kitchen features a breakfast bar/newer disposal/refrigerator 2018/remodeled baths/2 car garage/patio/resort style clubhouse features billards wood shop gym 2 pools ceramics golf on site for separate fee." ":Beautifully maintained Masterlodge II with quality updated baths & kitchen, Updated windows &sliding doors, recessed lighting, ceiling fans, designer ceramic tile in kitchen & dining room, maintenance free laminate floors neutral and stylish. Newer AC Extra storage closets in garage, bright enclosed porch Corner lot!!! Can be sold furnished with acceptable offer for that true home away from home. Certain items to be excluded 24 hr health care on premises, Clubhouse with 75+/- clubs and organized activities, Cultural center for entertainment, 9 hole golf course, pool and tennis/pickleball"
"A special place to call home ! If a peaceful view and privacy is what you are looking for you have arrived @ your destination ~ Move right into the freshly painted & updated condo that provides relaxing views of the golf course from every window in the rear of the home...As you step inside you'll find Brazilian Cherry Hardwood floors in the Living Room, Dining Room, Owners' Suite & 2nd Bedroom / Den...Updated Stainless Appliances in the Eat-In Kitchen along with a newer tile floor. The Patio is the perfect destination to enjoy the view . Activities abound for true Country Club living from golf, swimming, a game of tennis on the lighted tennis courts or you may step into the multimillion - dollar clubhouse to work out in the fitness center and then enjoy the sauna and indoor lap pool with a Jacuzzi spa....With the condo's outdoor maintenance-free living it allows for plenty of free time enjoyment making new friends and trying new activities here @ Concordia !" 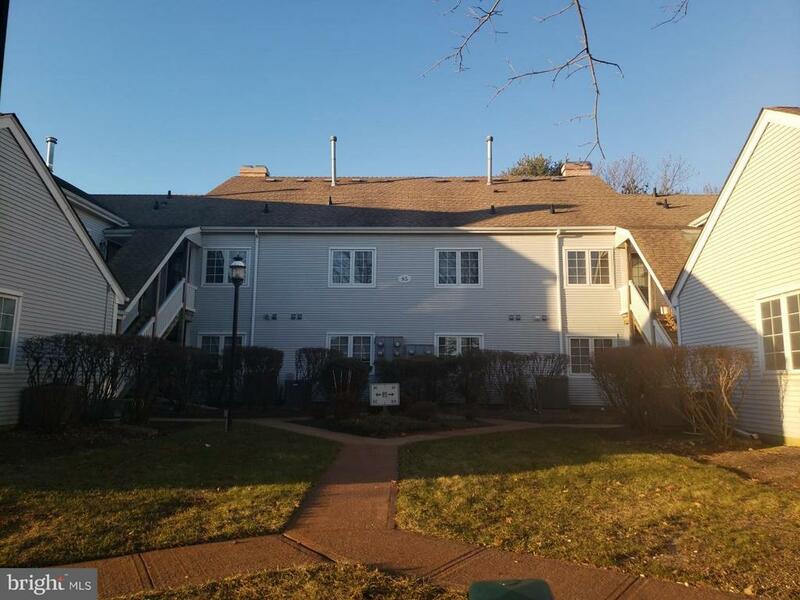 "Beautiful 2nd floor condominium located in a premier 55+ community of Greenbriar at Whittingham, Monroe, NJ which offers many amenities (swimming pool both indoor and outdoor, clubhouse, golf course, tennis court and fitness center). This manor features 2 bedrooms, 2 full baths, Master bathroom with 2 sinks, living room with fireplace and cathedral ceiling, beautiful kitchen dining room and patio." "Welcome home to Clearbrook!!! Resort style living!! Enjoy Clubhouse and its many featured amenities,Billards/Exersize/Sauna/state of the art wood shop/2 outdoor pools/home features eat in kitchen dining room 2 beds 1.5 baths attached garage,close to shopping/NYC bus Water/sewer/garbage removal/ included in monthly fee"
"Motivated Seller. AS-IS condition. Needs cosmetic updating."